The countdown to Christmas is officially on, and what better way to celebrate than with a Holiday giveaway? 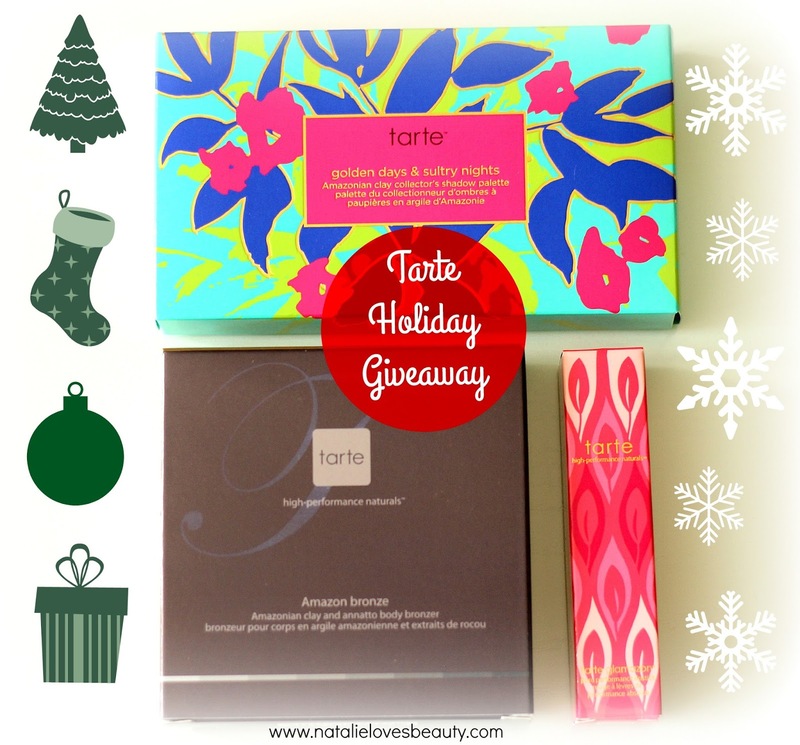 Up for grabs, a trio of beautiful makeup from Tarte Cosmetics, namely the limited edition (and no longer available) Golden Days & Sultry Nights Amazonian Clay Collector's Shadow Palette, the Amazon Bronze Amazonian Clay and Annatto Body Bronzer and the Glamazon Pure Performance Lipstick in Foxy. I've been collecting these for a while now and thought it was about time they find a new home. Watch my video below to get a closer look! The Golden Days & Sultry Nights Amazonian Clay Collector's Shadow Palette features five stunning limited-edition shades inspired by the exotic colours of the Amazonian Rainforest, including Toes In The Sand (matte ivory), Espadrilles (matte taupe), Caparinha Cocktails (gold), Oceanview (jade) and Tropical Sunset (bronze). I love that you get a mix of both matte and shimmer, as well as a pop of colour for when you are feeling more adventurous with your eye makeup. 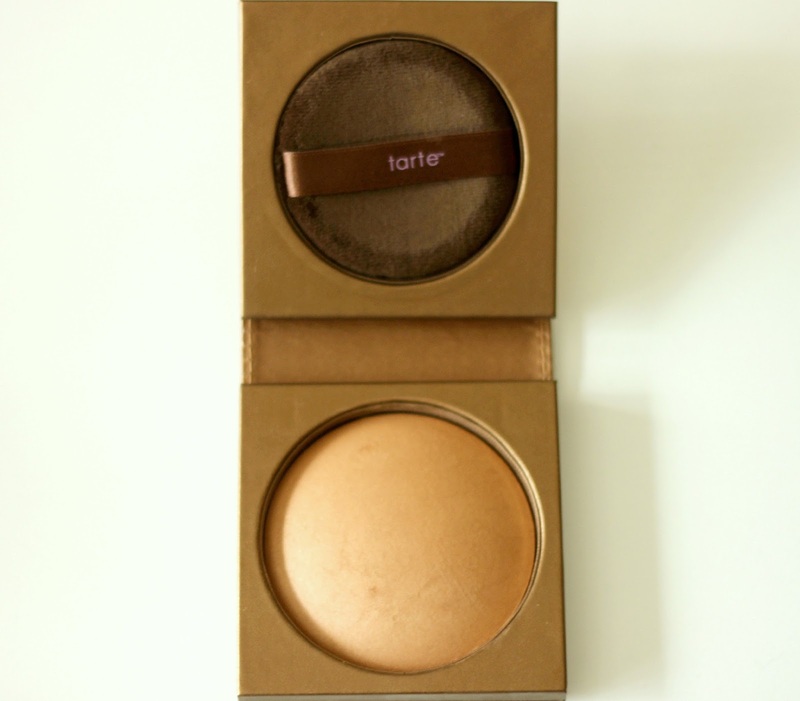 The Amazon Bronze Amazonian Clay And Annatto Body Bronzer is a ginormous body bronzer that with help you achieve a naturally sun kissed look with just one coat or a deeper bronzed look when layered. It comes with a body puff to help blend the bronzer. 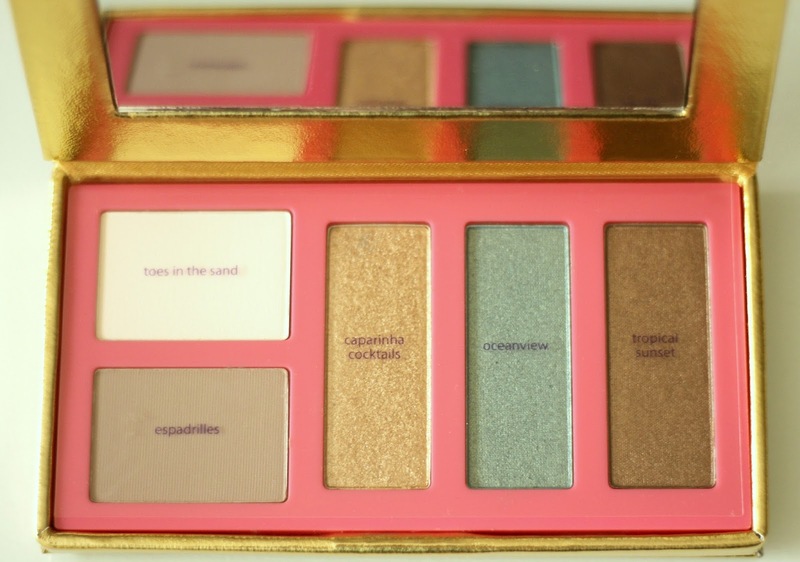 This would make a great face bronzer or eye shadow too! Last but not least, the Glamazon Pure Performance Lipstick in Foxy. This one will be a surprise as the box is sealed, but what I can tell you is that it is a deeper pink, unlike anything I've tried before. A little more daring, but still very wearable if you ask me. To enter the giveaway, all you need to do is complete the first three mandatory entries. Once they are completed, more entries will be unlocked allowing you to increase your chances of winning. This giveaway if for my genuine followers and subscribers (old and new - please do not follow to unfollow) and is open internationally. Good luck! What are your plans for the Holidays? we like to do with my mom, a delicious dinner and spend time with the family! we all get together at my house! I hope to spend a lot of time with my family and friends! Well, I'm working...but I hope to have a belated Thanksgiving on my weekend next week. For Christmas, who knows, maybe I'll actually get a few hours to sit by the tree and watch Christmas movies. I love White Christmas and The Santa Clause! We'll be visiting lots of family and hopefully sleeping in. I'm spending Thanksgiving at my parent's house with my sisters and their boyfriends, along with my boyfriend and his mother, and my boyfriend's cousin who is visiting from England. It will be a grand time! My fiancé is on a medical fellowship, and he has to work christmas and thanksgiving week and is on call the whole time. I am trying to find little ways to help him feel like its the holiday. My family is here for thanksgiving, but christmas will just be us. Hi! My plans are just spending time with my family and go to a Christmas market and buy a real Christmas tree. Thank you for the amazing giveaway! I want to bake some cakes and be with my family and friends. Thank you for the awesome giveaway! Celebrating with my family at home! This holiday I will spend more time with my two boys! My holiday plan is just be with family..
awww to spend it with friends! I don't have any holiday plans as of yet, but I'll probably be taking some much needed me time and working on my blog. Great giveaway! I'm hosting chrismakkah at my place this year with a bunch of friends. I'm really excited, it's my first time hosting! Staying home with my boyfriend, watching movies and listening to carols ! And eating, ofc ! I hope to spend a lot of time with my family and friends!!!! We just spend Christmas as home. Its just my husband, myself and our 5 sons. My oldest will come over bright and early Christmas morning and spend the day (he's 21 and on his own now). We just do the normal stuff. Turkey dinner. Stockings, Santa, Christmas cookies. The kids are really looking forward to it! This will be my first Christmas with my boyfriend, I'm super excited for that. Sincerely,it will be a very say Holiday for me. I ve got one son living in Paris, the other is travelling to Finland because of his military service in the beginning of december,my parents live in Finland..so I will be quite alone this month of the year, untill the summer where maybe my sons will come.No Christmas , no party ofr me, my heart&soul wil be neear my family. But I wish that the world will live peace&love &liberty..that the poor wil have a better lfe. I get to spend the holidays with my family! I have no plans other than eating a lot! My holiday plans are to spend lots of time with family! My plans as of now are... TRY NOT TO PANIC. Thanks for the giveaway! spending time with friends and family!! I'm going to wait for every giveaway that i joined to announce if I might be the winner♥ how sad, since I don't have anything to do and everyone hates me, and I gotta stand by my self..
My plans for the holidays are to enjoy the season, hang out with my family without the distractions of the outside world. Plans for the holidays? Rest and play with all the makeup!! I'm going to my sister's house for Christmas and I'm looking forward to it. It's our first Christmas together in 7 years. I'll be spending Christmas Day with my son, daughter in-law and grandson. Thank-you for this awesome chance & Happy Holidays! I am spending Christmas at home because I have the flu right now so my plan was cancelled. I'm hosting a small Christmas dinner and spending New Years with family. Spending lots and lots of time with my family! My plans are to spend time with family and my boyfriend! Probably just hanging around the house! Nothing too exciting or worthy of sharing! Going to my sister-in-laws today and church after and then to my parents where everyone gathers. It should be lots of fun...Good eats and presents of course. We do not have plans until tomorrow at lunch. This is the first time we haven't gotten together on Christmas Eve in years. I hope you are having a wonderful Christmas.